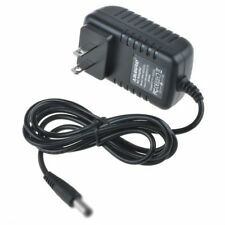 Compatibility: This power adapter will fitRCA Maven PRO RCT6213W87 DK Tablet. LED Charging indicator. AC/DC Adapter Specification Output: DC. Just give us the opportunity to resolve a problem. Input: 100-240 V AC 50/60 HzOutput: 5V, 2.0A (2000 mA). 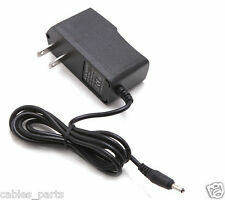 Compatibility: This power adapter will fitZeki TB782B TB892B TB1082B Tablet. LED Charging indicator. AC/DC Adapter Specification Output: DC. Just give us the opportunity to resolve a problem. IRulu AX921 AX923 X7 Tablet PC. The product details (appearance, label, Plug) may vary due to the different production batches. Cable Length: 4ft. Input Connecter Standard: 2 Pin US Plug. D2 Tablet DII Pad WH DII Pad BK. Connecter Size: Barrel tip As the pictures shown. The product details (appearance, label, Plug) may vary due to the different production batches. Compatible Models. Output Current: Max. People always bought together with. Original accessories may or may not be included. Signs of wear can include aesthetic issues such as scratches, and discoloration. Condition: Used: Very Good. Condition: Used Very Good. Provides 5V DC from USB,Power devices from a USB to 3.5MM port. For small electronics and devices which use a 3.5mm barrel jack for a power cable. A perfect accessory to bundle with your mini electronic device. 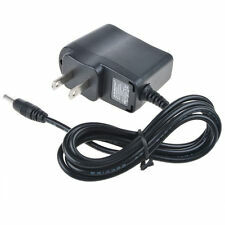 Compatibility: This Power adapter will work withRCA 10 VIKING PRO RCT6303W87 DK Tablet PC. Output: DC 5V 2A. CE/FCC/RoHS certified. 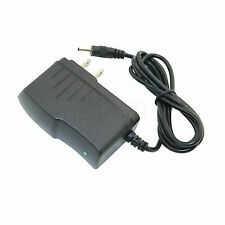 AC Adapter. Cable & Converter. Output: DC 5V 2A(max). Kids Tablet Nabi2. A great Tablet PC accessory for you. Input: AC 100-240V 50-60Hz. Light weight, convenient to carry. We'd like to settle any problem in a friendly manner. We want to make sure you are happy with our item. Compatible with: Nabi 2 NABI2-NV7A NABI2-NVA Tablet. Output: DC 5V, 1000mA max. Super good a 3 ( 282. Samsung Tab. Input: 100V-240V AC 50/60HZ. ) 2017-06-29. k 1 ( 260. o 3 ( 156. ). 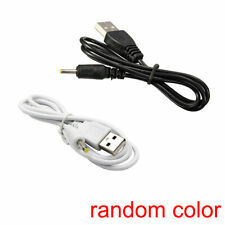 1 x 2.5mm DC USB Cable 1 x pen. Type:1 X Usb Data Cable 1x pen. Output(DC): 5V/1A. Input(AC): 100-240V,50-60Hz. We only accept. To non-USA. Output: DC 5V 2A. Input: AC 100-240V, 50-60Hz, 0.3A Max. For Nextbook Ares 11 NXA116QC164 Tablet. We always make an effort to keep it upto date. We stand behind our quality products. scores from you.The star-scores are very important to us. This high quality power adapter is lightweight, compact and easily fits in any pocket for travel. provides smart device surge protection as well as temperature and circuit protection. Output: 5V, 2.0A (2000 mA). Dell Venue 7 8 Pro 5830 Tablet. Output: 5V 2A. Input: AC 100-240v, 50-60Hz. We will work on resolving your particular case ASAP. Just give us the opportunity to resolve a problem. Tablet does not permit data transfer through usb charging cable. Power devices from a USB port. Output: 5V 2A max Mini USB Connector. Nextbook 8 nxa8qc116 Android Tablet. Output: DC 5V 2A. Input: AC 100-240V, 50-60Hz, 0.3A Max. Output: 5V 2A max. You are getting 2 PCS. Color: Black. 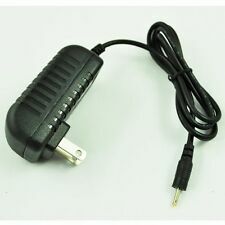 Compatibility: This power adapter will fitRCA Galileo Pro 11.5" RCT6513W87DK C. LED Charging indicator. AC/DC Adapter Specification Output: DC. Just give us the opportunity to resolve a problem. Lenovo Tablet 8" A5500-F A8-50. The product details (appearance, label, Plug) may vary due to the different production batches. Cable Length: 4ft. Input Connecter Standard: 2 Pin US Plug. The product details (appearance, label, Plug) may vary due to the different production batches. Connecter Size: Micro USB 5pin As the pictures shown. Compatible Models. Coby Kyros MID9042 MID9042-8 Tablet. The product details (appearance, label, Plug) may vary due to the different production batches. The manufacturer does not necessarily endorse use of these products. Output: DC 5V 2A. Google HTC Nexus 9 Tablet PC. Input: AC 100-240V, 50-60Hz, 0.3A Max. Coby Kyros Tablet MID7048. The product details (appearance, label, Plug) may vary due to the different production batches. Input Connecter Standard: 2 Pin US Plug. Cable Length: 4ft. We always make an effort to keep it upto date. Output: DC 5V 2.5A. Cable Length: 4ft/1.2m. 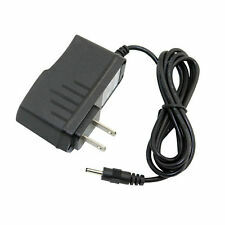 1 x US Plug 5V 2A Power Adapter. Output: 5V 2000mA max. Short circuit Protection. Plug Tip For Many Electrical Devices. Light in weight and with heavy-duty cable-wire. HP 10 G2 2301 10.1" Tablet. Output: DC 5V 2A. Input: AC 100-240V, 50-60Hz, 0.3A Max. Model TS-2000 IC Android Tablet PC. The product details (appearance, label, Plug) may vary due to the different production batches. Input Connecter Standard: 2 Pin US Plug. Short circuit Protection. Output:DC 5V-9.5V. A10/A13 Tablet. The product details (appearance, label, Plug) may vary due to the different production batches. Input Connecter Standard: 2 Pin US Plug. Color: Black. Pure One Mi DAB Radio. Connecter Size: Mini USB As the pictures shown. The product details (appearance, label, Plug) may vary due to the different production batches. Cable Length: 4ft. Kids Tablet Nabi 1 Gen FUHUNABI-A. LED Charging indicator. The product details (appearance, label, Plug) may vary due to the different production batches. 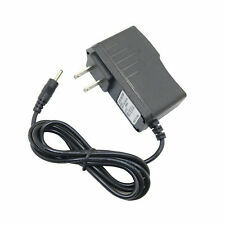 Compatibility: This power adapter will fitNeuTab N7 i7 N9 Pro Android Tablet. LED Charging indicator. AC/DC Adapter Specification Output: DC. Just give us the opportunity to resolve a problem. RCA RCT6272W23 Android Tablet. The product details (appearance, label, Plug) may vary due to the different production batches. Connecter Size: Barrel tip As the pictures shown. Compatible Models. Output: 5V 2A. For Samsung LG Android Tablet which need a micro usb connector. Input: AC 100-240v, 50-60Hz. Just give us the opportunity to resolve a problem. Duty Rate is vary subject to different countries' regulation.